You know those times when you’ve got a hodgepodge of things in the refrigerator that need to be used ASAP, before they have to be thrown out? Well that’s how this salad was born. 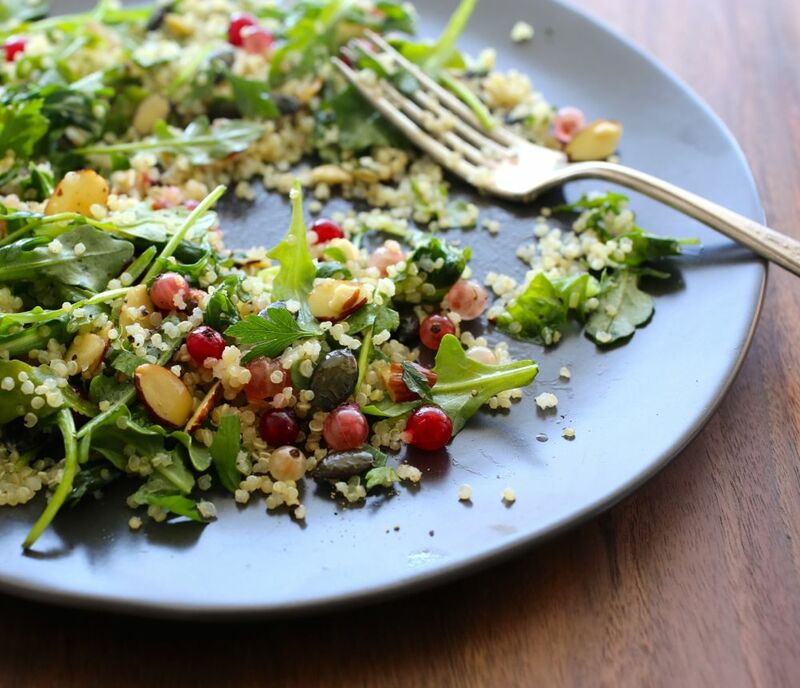 I had some greens (mainly arugula), cooked quinoa, parsley, and gorgeous little clusters of fresh currants from the farmers market. I decided to throw them together in a bowl with sliced almonds and organic raw Austrian pumpkin seeds that I’ve had on hand, and a simple lemon-garlic dressing. Together, they made this vibrant, slightly tangy, and satisfying summer salad. Big on flavor, large in size and packed with nutrients, Austrian pumpkin seeds come from a special variety of pumpkin grown in the Styrian region of Austria. They produce a hull-less heirloom seed that grows much larger than other pumpkin seeds. 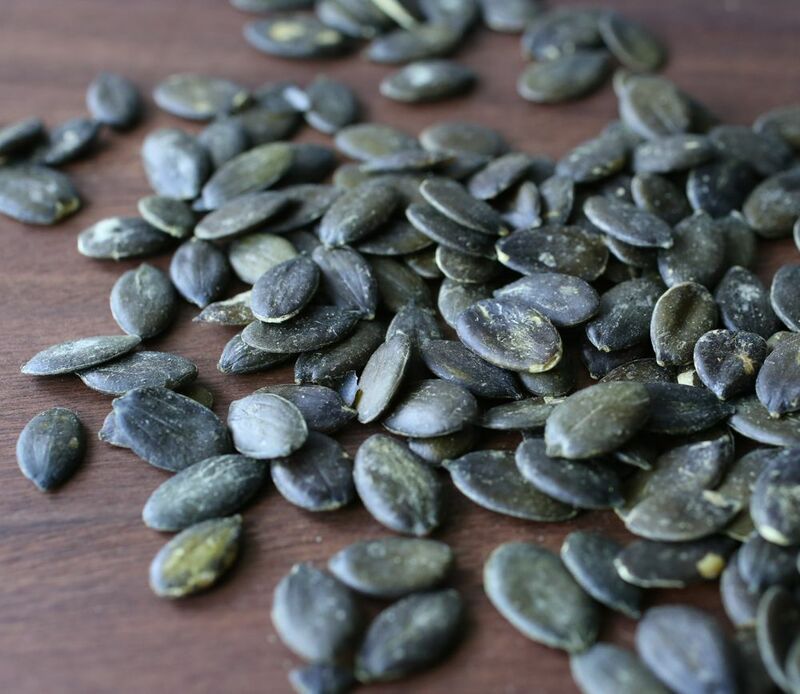 But if you can’t find Austrian pumpkin seeds, use regular ones (pepitas) as the health benefits of eating pumpkin seeds are tremendous. They’re an excellent dietary source of zinc, and are filled with minerals, vitamins, antioxidants, micronutrients, healthy fats, protein and fiber. Make dressing. In a small bowl, whisk together all ingredients and set aside. Bring a saucepan of water to a boil then add the quinoa. Allow to cook for about 10 minutes. Drain, rinse with cold water, drain again and set aside. In a small pan heat 1 tablespoon oil. Add almonds, pumpkin seeds and a pinch of salt. Stirring frequently, cook for about 3-5 minutes. Transfer to a small plate and set aside. 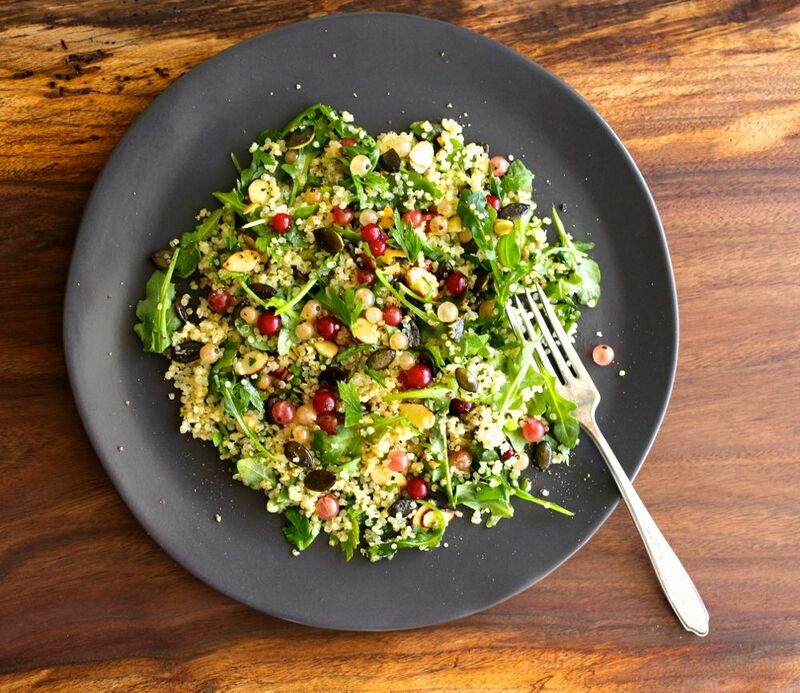 Place quinoa into a large bowl along with the arugula, parsley, nuts and green onions. Stir in dressing. toss well. Taste and adjust seasoning, adding more oil, lemon juice and salt and pepper to your taste. Toss again. Just before serving, gently toss in currants. Garnish with a few parley leaves. Thanks Chris! Glad you like it. Thanks David! You are very welcome. Glad you like this. More salads to come! What a beautiful and healthy salad! 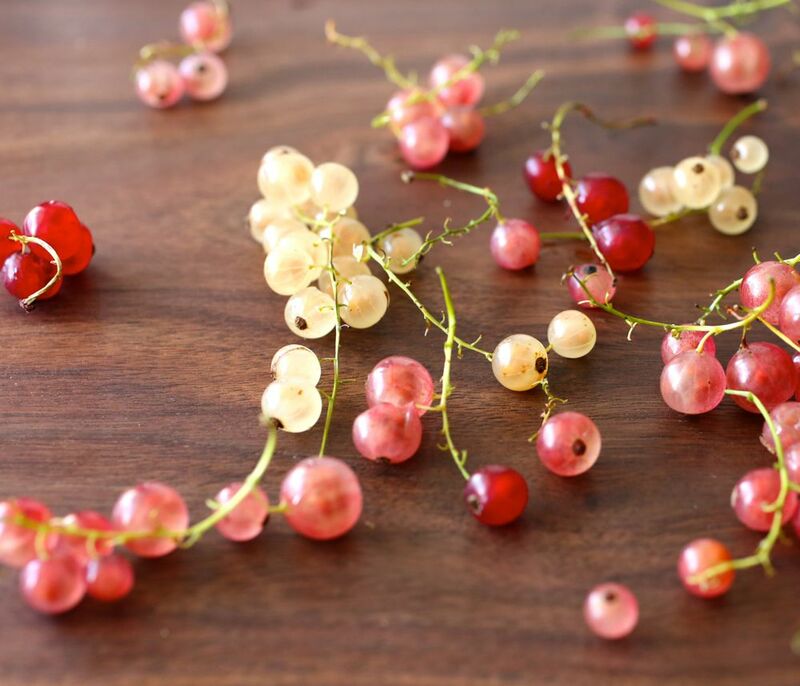 I am going to have to be on the lookout for currants at my farmer’s market this weekend. I love the pairing with pumpkin seeds too, and am happy to hear how healthy they are. Thanks for the great recipe inspiration! Thank you very much Julia! I’m so happy I could provide some inspiration. 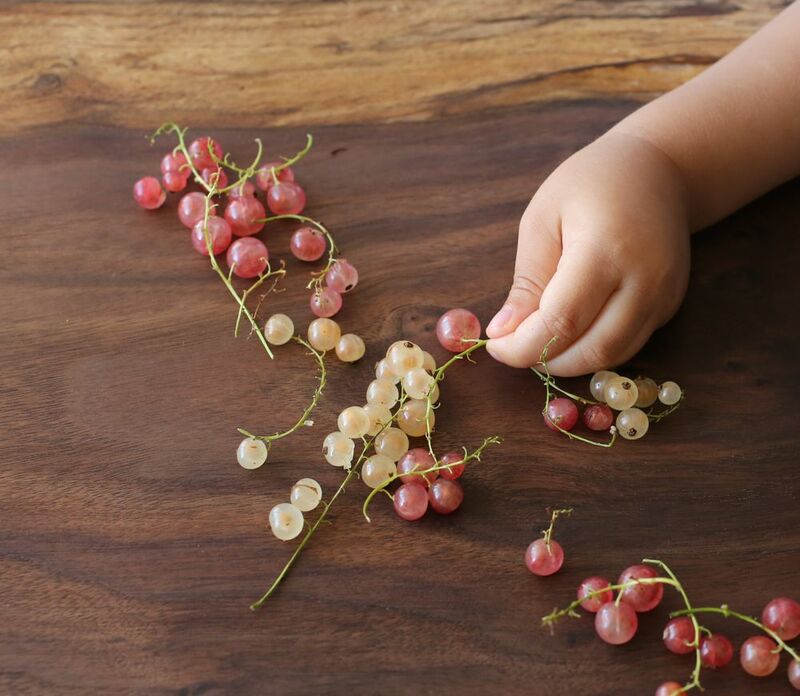 I hope you find fresh currants; they really are like little jewels. All the best!